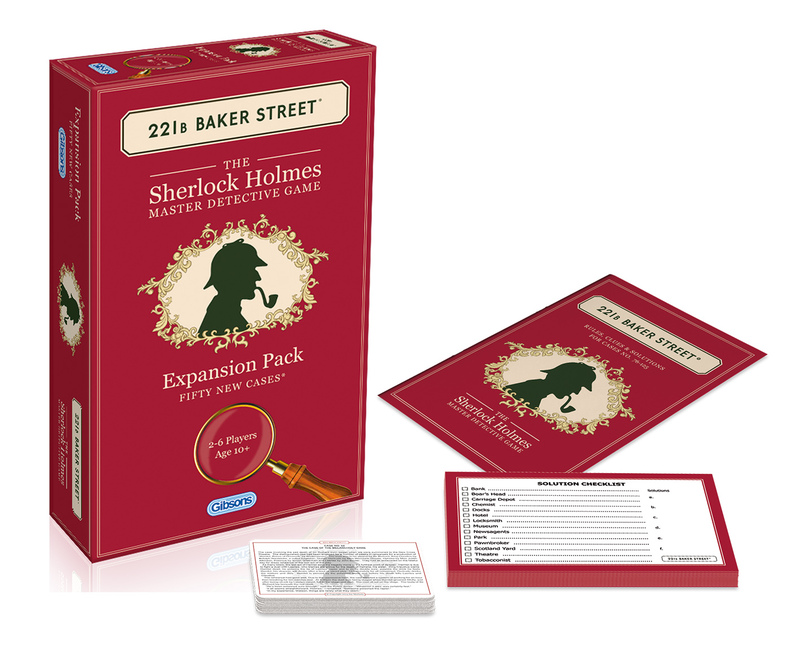 The famous detective Sherlock Holmes and his companion Dr Watson are once again on the trail of those notorious arch villains Professor Moriarty and Colonel Sebastian Moran with Sherlock Holmes the Card Game. 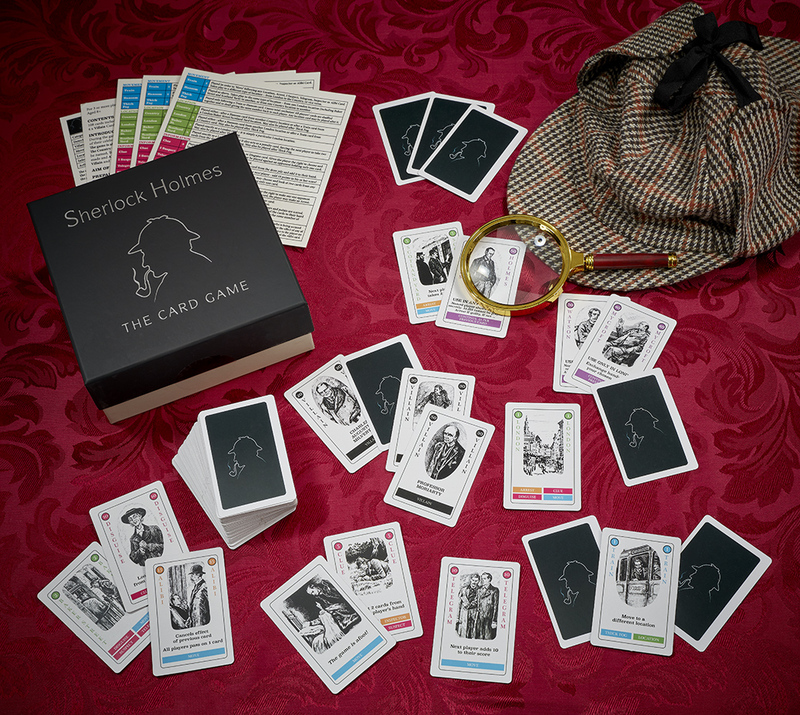 Test your powers of deduction in this entertaining 'hunt the villain' card game. 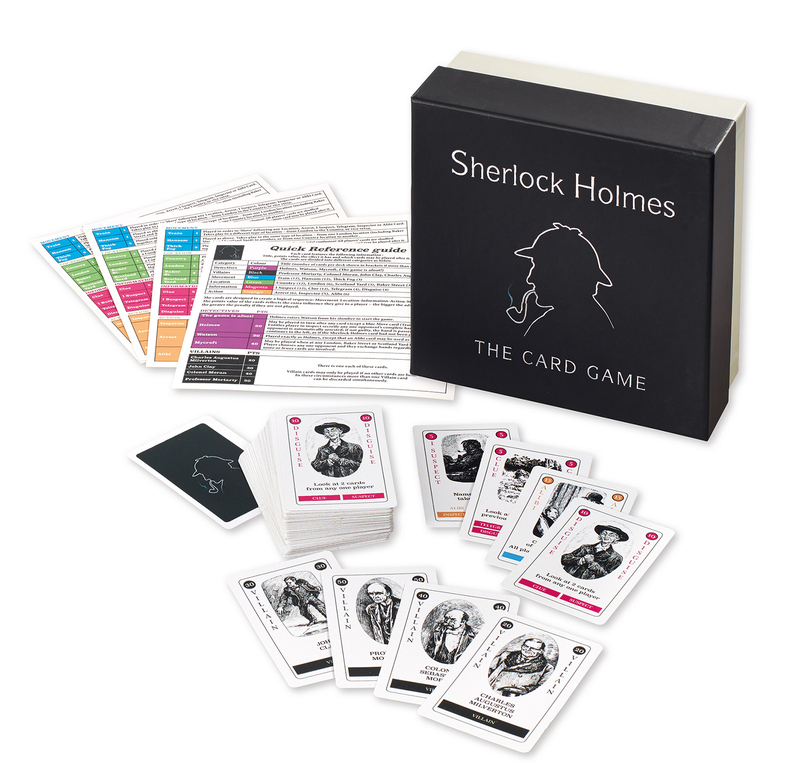 Players must travel by hansom cab and train as they seek clues and suspects in an attempt to find out which player has the Villain Card. 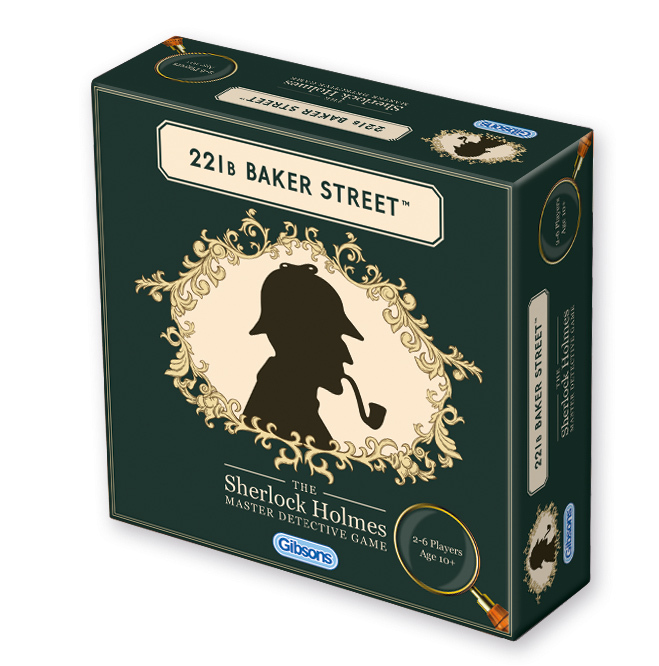 Police Inspectors, Alibis and even thick fog may through players off as they attempt to make an arrest before the Villain makes his escape! All of the cards are illustrated with pictures from the original material and faithfully capture the atmosphere of the period.